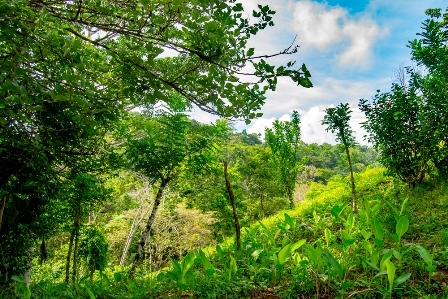 This farm has primary and secondary forest, pasture land for building, fruit trees, is close to town but remote as well, and a river runs through it. Asking is $85K, but the motivated seller is ready to wheel and deal, so don’t be shy! 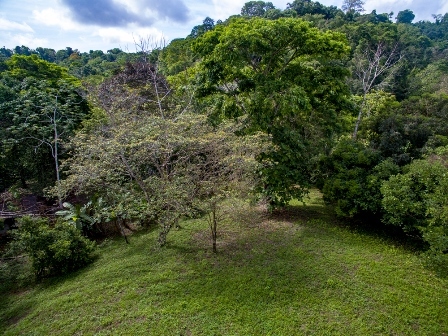 All titled, ten hecs, your own stream, rain forest, cleared land, views, orchards. Too much money? Make an offer. 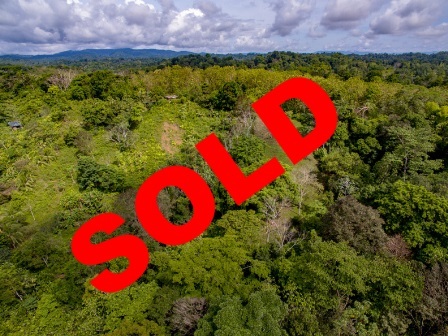 Let’s take “motivated” to a new level and find your tract of rain forest paradise right now! 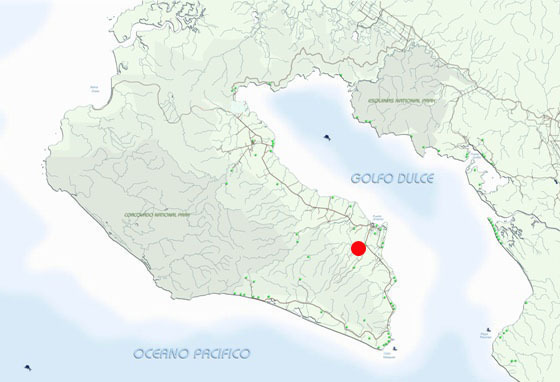 It’s just a fifteen-minute drive from all the conveniences of Puerto Jimenez. But it's in the forest and has a stream running through it! 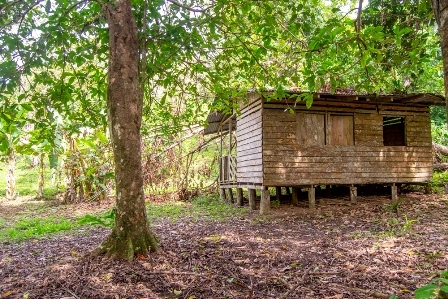 The La Balsa region backs up from the area just south of town to the peninsular spine and has contiguous primary rain forest coverage that extends from Matapalo to Corcovado, ensuring a healthy wilderness habitat in the mountain slope that comprises fully half of this charming farm newly on the market and priced aggressively. 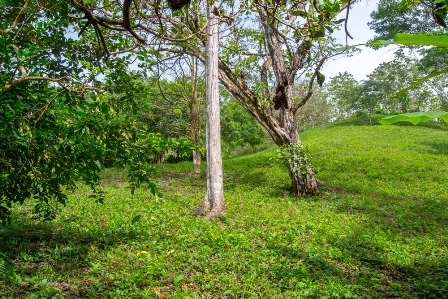 The near side of the property, north of a perennial stream that transects the property is cleared in pasturage with recovering secondary and fruit trees. An old home site remains on the stream terrace shaded beneath the trees, but the most likely building site is on top of the knoll that looks out across the valley that comprises the farm and across to the forested ridgeline beyond. 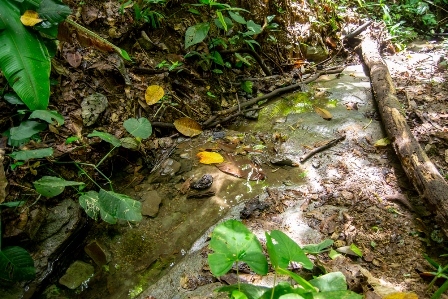 The property is accessed by the La Balsa road. Though graveled, there is one portion of the road that remains 4WD only when wet because of steepness and exposed clay in the road. No municipal services extend this far up the road, but water is plentiful on the property and the building site is clear of foliage and presents a strong solar power option. Town is fifteen minutes away. This property is titled and ready to go!